Rubenerd: What’s the perfect addition to any cheeseboard? What’s the perfect addition to any cheeseboard? Photo taken with my iPhone this afternoon in the deli section of the supermarket in Tanglin Mall here in Singapore. 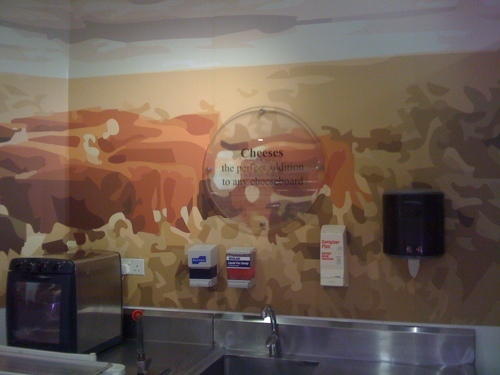 The sign reads: "Cheeses: the perfect addition to any cheeseboard". I wonder if Bill Kurtis is aware that cheeses are the perfect addition to any cheeseboard? As of this afternoon at least I can say with confidence that I am now aware of this. How… cheesy. Oh come on, you could see that coming.